This recently upgraded home in Jardines del Pacifico in playa Bejuco has a freshly remodeled kitchen with new tile and cabinets throughout. There is an open dining and living room with high ceilings, two bedrooms with two bathrooms. The entire front yard has been covered and a floor installed to provide parking for multiple vehicles and an open aired area for workouts or just enjoying the fresh ocean breezes. There is also a screened in sitting area/front porch. The master bedroom opens to the pet friendly, fenced in back yard where the washing machine is also located. 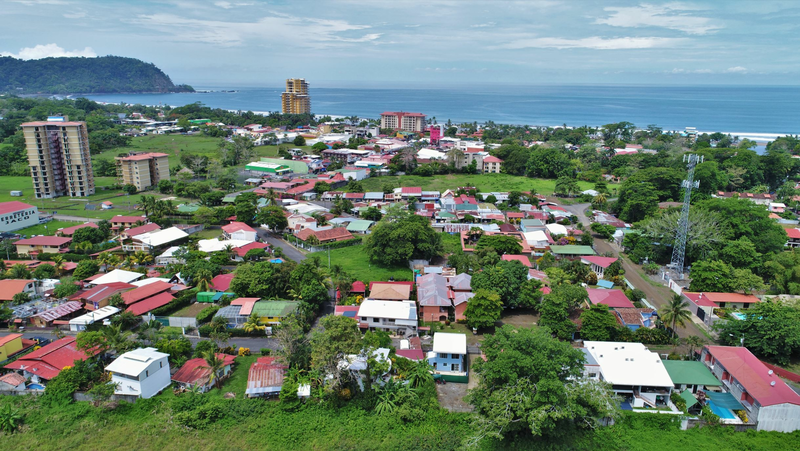 The title is part of Jardines del Pacifico co-derecho program which makes this home close to the beach in a gated community quite affordable. A small HOA of just $139 per month covers 24/7 guards, black water treatment, pool and common area maintenance.